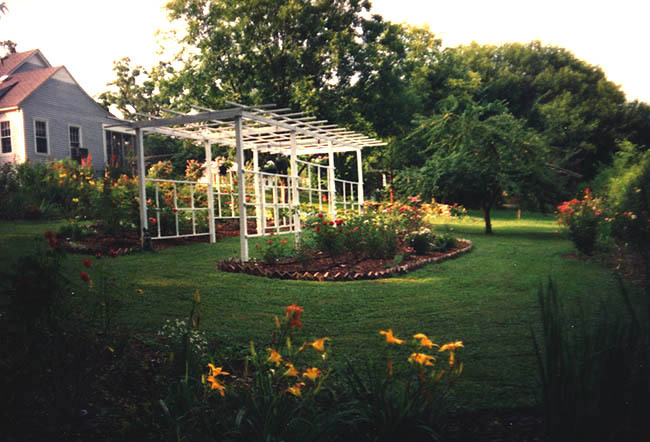 Our garden is located in Florence, Alabama, a town that sits right along the Tennessee River in the northwest section of the state. We bought the house in 1992 and the garden (or I suppose I should say "yard") consisted of a few neglected fruit trees and a massive lawn that took two hours to mow. I had already been bitten by the gardening bug at our former residence, an apartment with a postage stamp size garden. I was reading everything I could about gardening and was already planning the garden in my mind before we actually moved in. We started work in the Spring of 1993 and have not stopped since. Next came planting, planting and more planting. 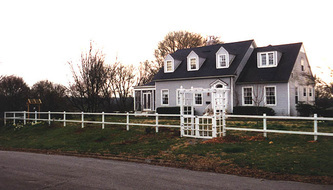 Other projects have included building a fence and gate around the front garden, as well as adding more structures for growing roses. Ten years later, I decided that I wanted "gardening rooms" to make the garden more intimate and built a garden wall to divide part of the lower garden. Today, we have privacy and a garden jam-packed with plants. In fact, there is no room left at the inn! 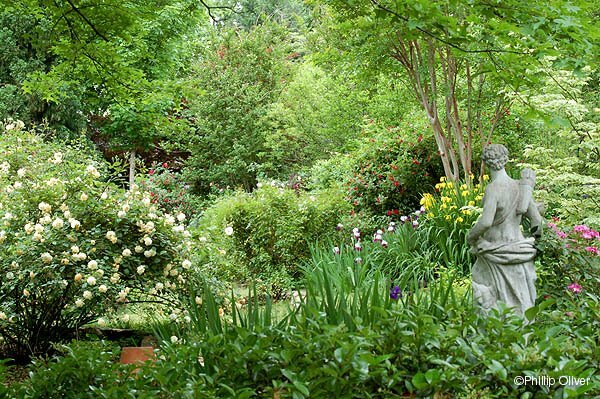 Gardens are ever-changing and ours is no exception. What once started out as a sun-filled garden with roses and perennials is now quite shady. 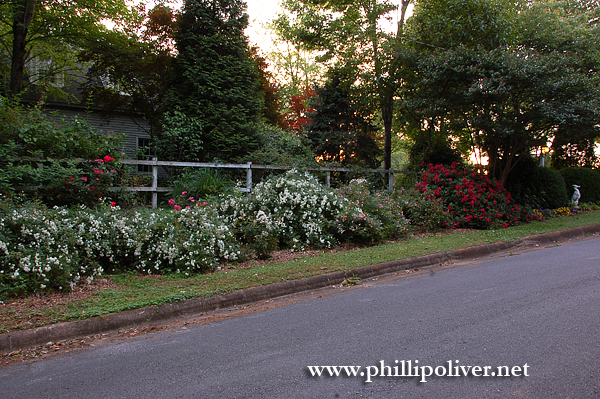 As a result, some of the roses and perennials have suffered. I am constantly moving plants and trimming tree branches to bring in more sun. However, the shade is quite welcome in summer and shade-tolerant plants are now a must. We love the wildlife that the garden has attracted. There are a tremendous number of birds, butterflies, hummingbirds and of course squirrels. Over the years, we've seen raccoons, foxes, turtles, snakes and owls, just to name a few. These days, there isn't much room left for more plants and I find myself wanting more space. But there are always plants to be moved and cared for and the chores never cease. 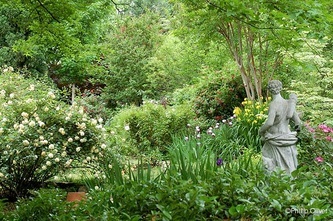 The garden is endlessly fascinating and a sanctuary. 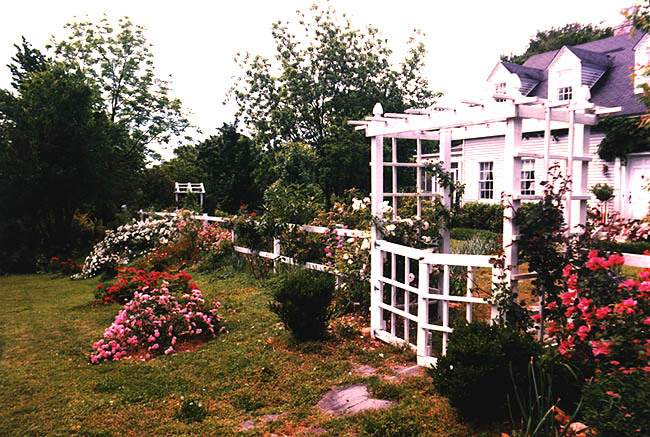 For more photos of the garden through the years, click here. 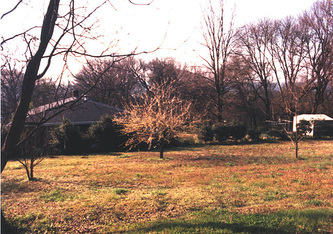 Early spring 1994, right after the fence and gate were finished.